Consulting is a lucrative and rewarding field, but the paperwork and invoicing can be difficult. Often, clients don’t understand where the final price is coming from. The Consultant Invoice Sheet is the perfect tool to help inform your clients of fees and exactly what services you’ve rendered for them. You can even list your mailing information and a list of all your individual services as well. This template will even calculate all the amounts of your services to display a clear and final total for your client at the bottom of the document. Finally, you have a way to keep your clients up-to-date and ready to go! The first thing you need to do is provide the name of your company or business at the top of them Consultant Invoice, as well as your address information. This will make it easier to print copies of your invoice template and the information for your individual clients continuously. The next thing you need to do is enter your customer’s information next to the orange square at the center of this document. The section below the addresses is reserved for hourly billing, if applicable to your business. This will typically be charges that are upfront or your main consultation service fee. The table below that is for entering services that your client may not see, like research or providing advice/recommendations or even legal assistance in some cases. You will notice that in the far right column of the Consultant Invoice, there is a list of all the totals from your services in both sections and a final total at the very bottom of the document. When you have all this information entered into this template, you can print it to send to your client. 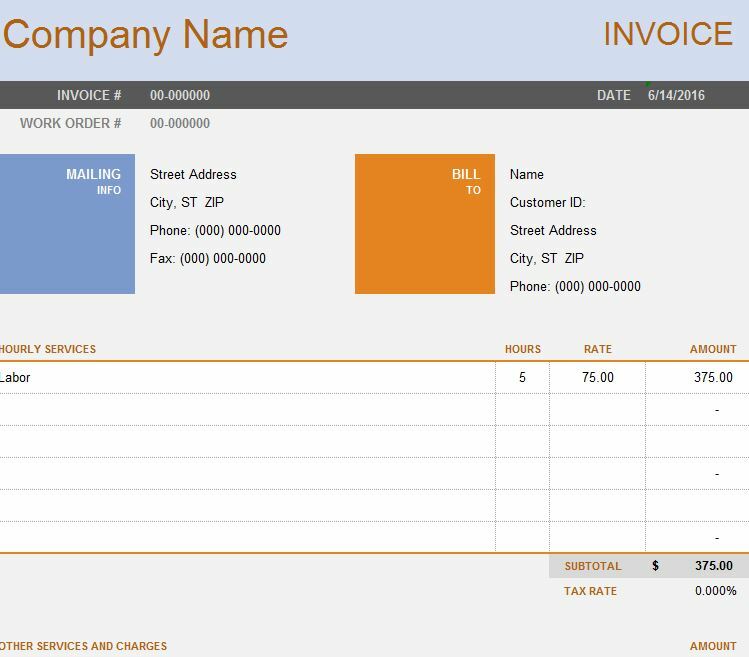 This template makes invoicing simple and save you time to get back to your job or business.